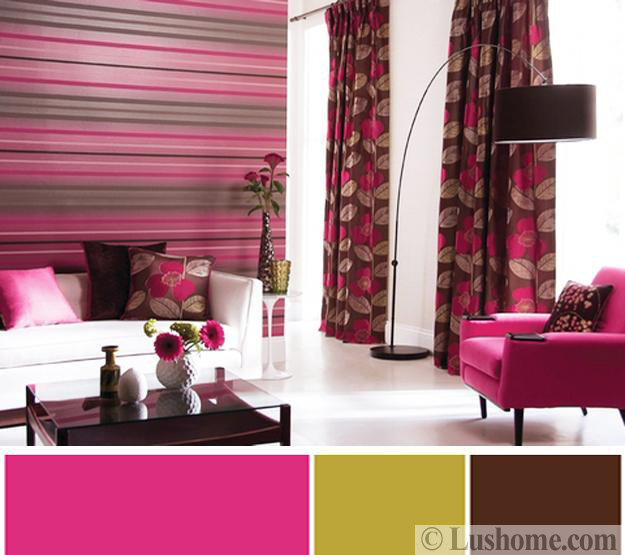 Modern interior design color schemes include dusty pink, bold pink hues, yellowish green, olive, light or dark brown colors of natural wood. 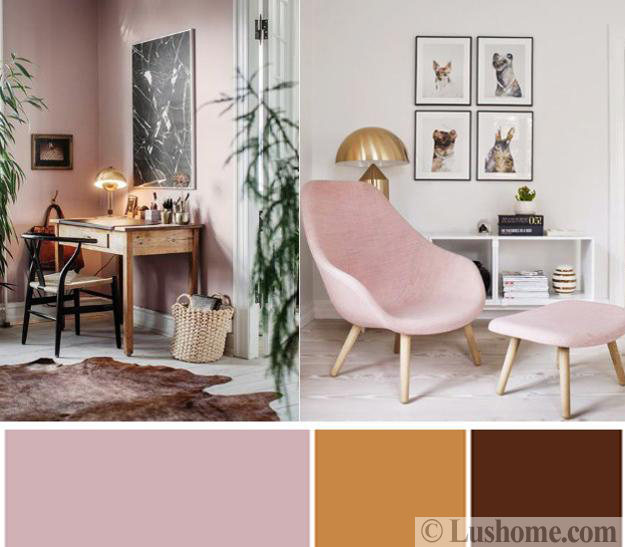 The Lushome created three beautiful color schemes for modern living rooms and kitchens which can turn home interiors into bright and optimistic spaces or create tranquil, peaceful, and elegant rooms. 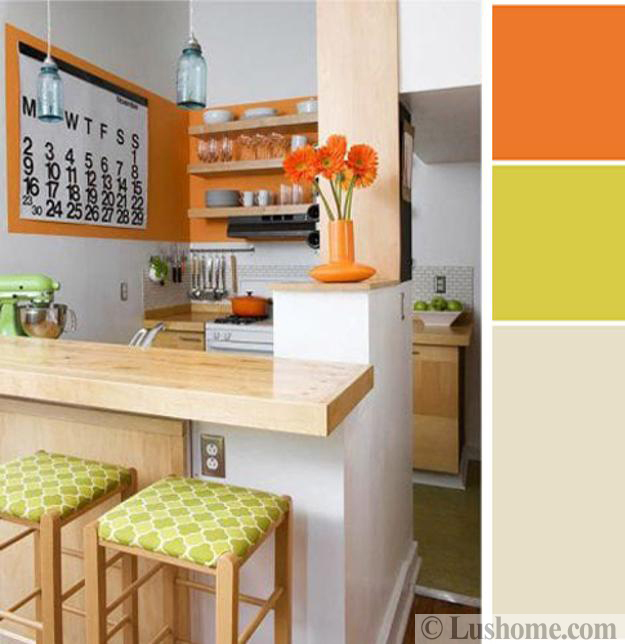 Bright hues combine with stylish neutral color tones. 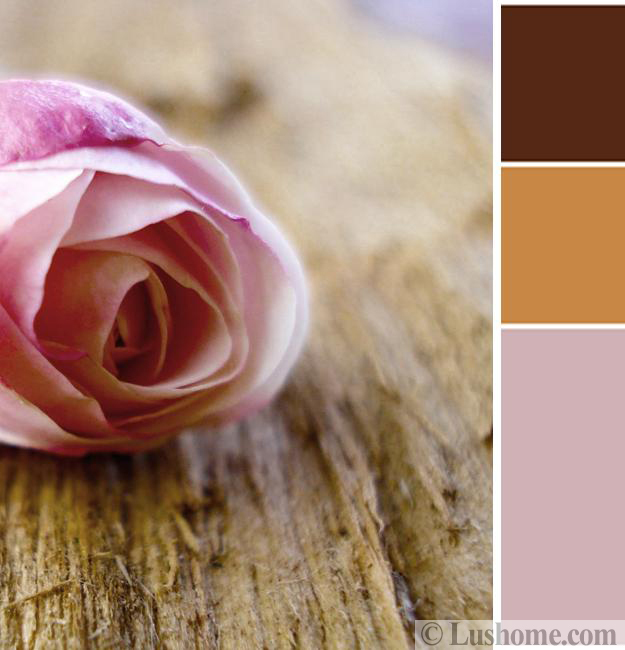 Pale pink and beige mix with brown colors of natural wood. Use these interior design color schemes for exploring the powerful elegance of natural inspirations. Beautiful flowers and natural wood texture are inspiring themes which offer fabulous color combinations for modern interior design. The olive green and orange color schemes are excellent for kitchen design while pink and brown colors offer stylish interior colors for living rooms and bedrooms. 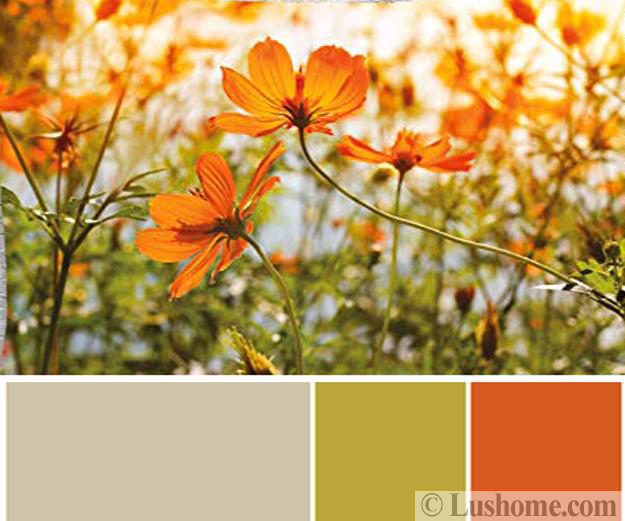 These inspired by nature design color schemes include current hues of beige and brown colors. Warm and comfortable, the neutral tones fill the rooms with coziness and create beautiful backdrops for pinks, yellowish greens, and orange shades. Patels and vibrant pink hues add a romantic feel to interior color schemes, olive-green color feels warm and sunny, while brown color shades infuse comfort into rooms and make an interior design look cozy and inviting. Dusty pink pastels are excellent for walls and living room furniture upholstery. Brown color shades harmonize the interior design balancing the cool pool tones. Neutral colors create beautiful backgrounds for vibrant accents. 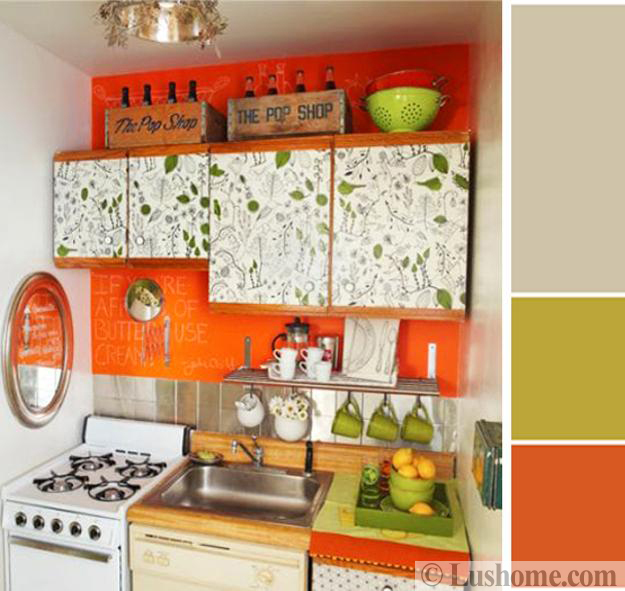 Bright orange and olive-green shades give an energetic feel to the kitchen color schemes that include white, gray or beige tones. Olive-green shades are warm and pleasant. 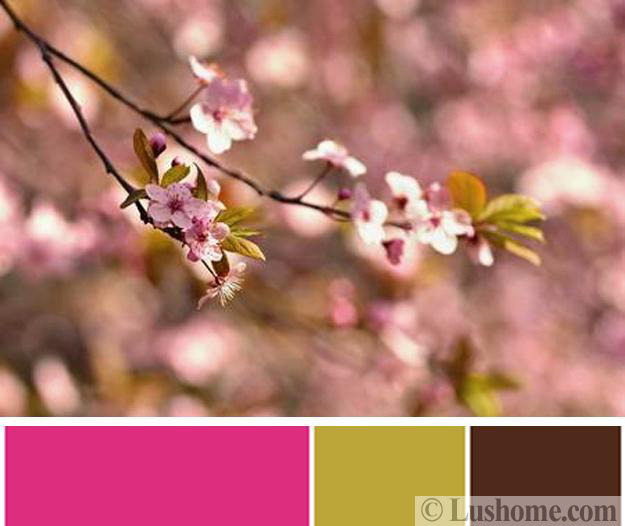 They complement vibrant pinks and cool neutral color tones. 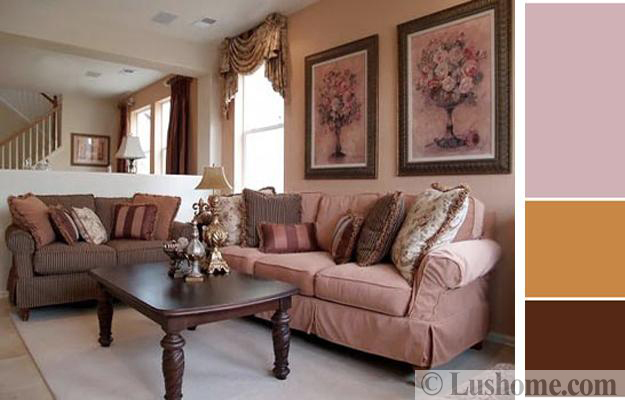 Chocolate brown shades calm down the bright color schemes and work well with light neutral colors.